Each region of the world has its own take on the best way to make Cheesecake. Germans use quark, while the Americans bake it with cream cheese, the Swiss with hard cheese, the Italians with ricotta and the French with goat cheese. We in the Middle East, on the other hand, bake it with Labneh or what we call in Persia Mast-e Chekideh. Have you ever made a creamy cheesecake with Labneh – Mast-e Chekideh? 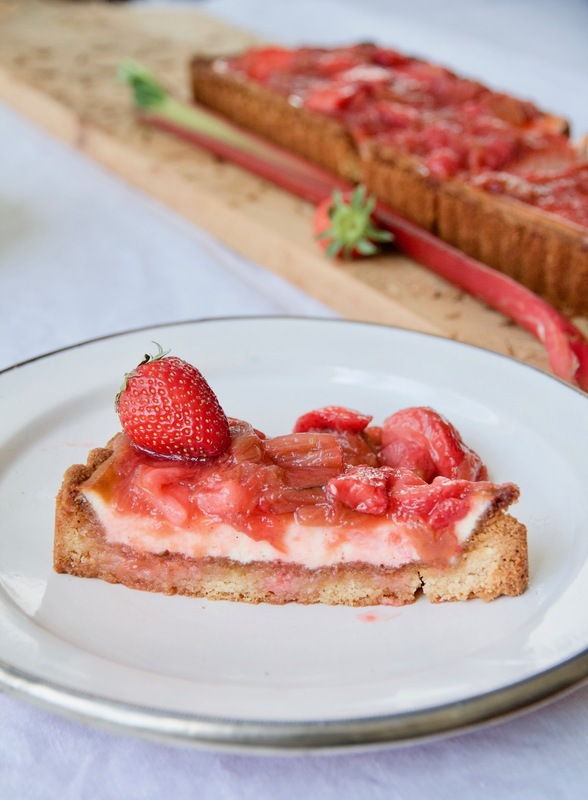 Give my Labneh Cheese Cake with rhubarb and strawberry compote a try and you will be addicted. Some of you are already familiar with my love of serving fruits with sweet cake. Now in springtime with plenty of rhubarb on the market the decision was made quickly. Befarmayid! 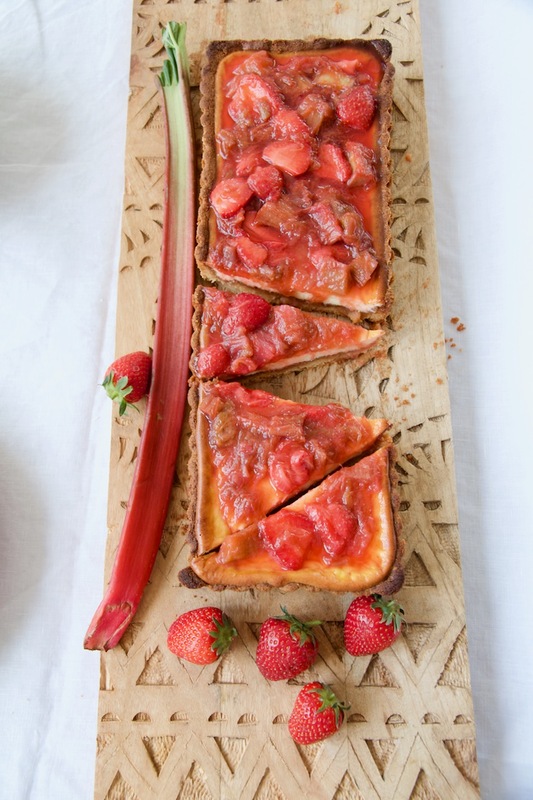 (Is Persian and is a polite way of making an invitation, such as “Come in, please ) Creamy Labneh Cheese Cake meets velvety rhubarb and fruity strawberry compote, vanilla and rose water ensures unique persian flavor and crispy almond dough ensures a light crunch. You can either serve this delicious cake as a lukewarm dessert or semi-cold right outside the fridge. My Labneh Cheese Cake may sound laborious but is quite easy to bake. Depending on the season, the fruit for the compote are variable and so I bake it for example, in summer with cherries, apricots or berries, in fall with plums and in winter with apples or quinces. 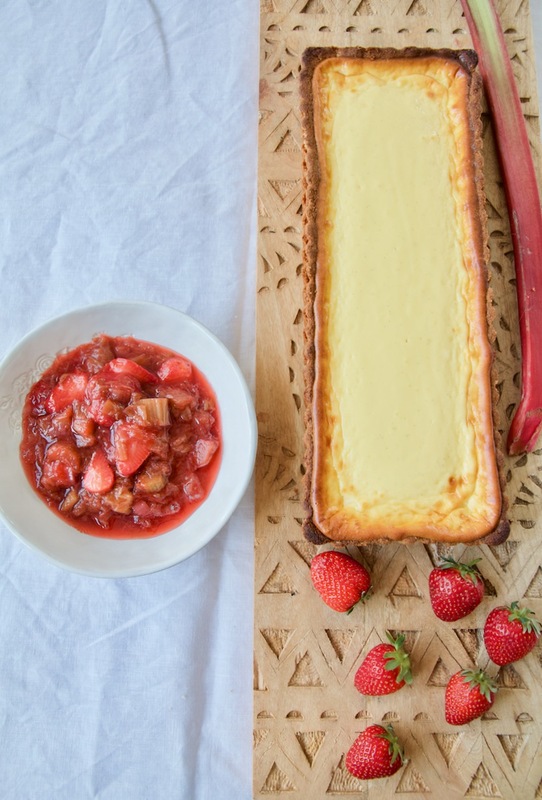 For my Labneh Cheese Cake with rhubarb and strawberry compote you need a tart pan. WHAT IS LABNEH OR MAST-E CHEKIDEH? Labneh or mast-e chekideh is a cream cheese made from drained Greek yoghurt and is very popular in the Middle East and Levante cuisine. 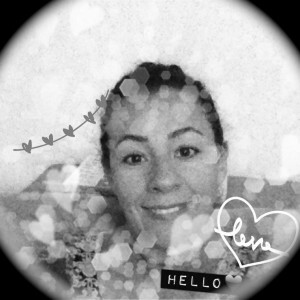 The Greek yoghurt is ideal food for slimming, here I have already reported about it. 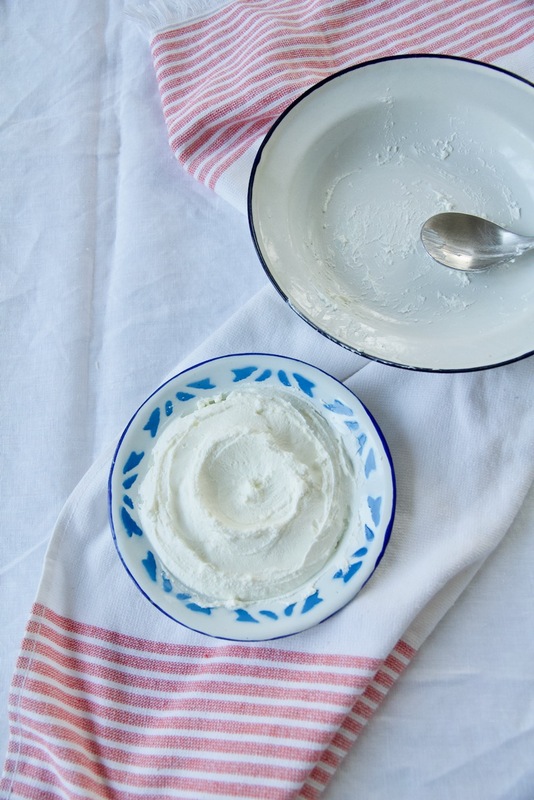 In Persia we do not say Labneh, but Mast-e Chekideh, which translates to drained yoghurt. You either get Labneh ready in the Turkish grocery store or you make it yourself, like me. This is super easy, but takes at least 12 hours, so plan enough time. 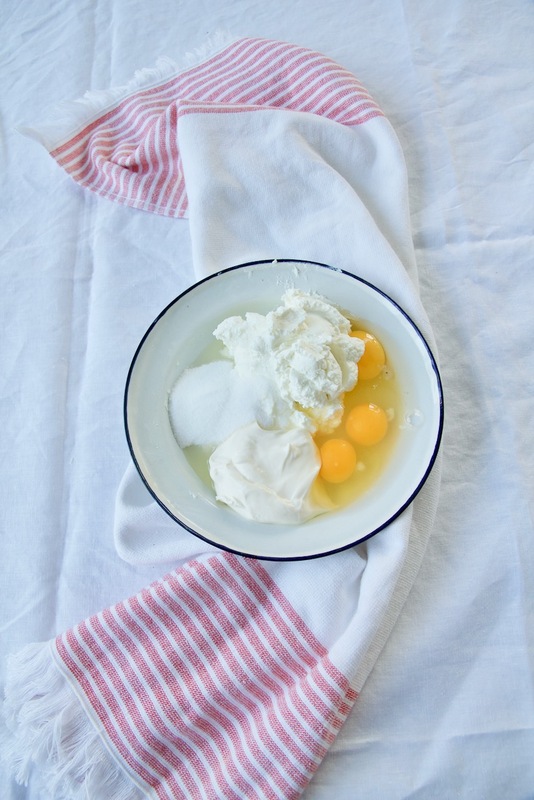 Here’s my recipe for homemade Labneh. First the bottom of the Labneh Cheese Cakes is baked with a mixture of almond flour and wheat flour, butter, a little bit sugar and salt. Meanwhile mix all ingredients for the labneh filling, stir in Labneh, eggs, creme fraiche, vanilla extract, sugar and salt. Stir this mixture on the baked bottom and bake again for 20 minutes and let it cool down. 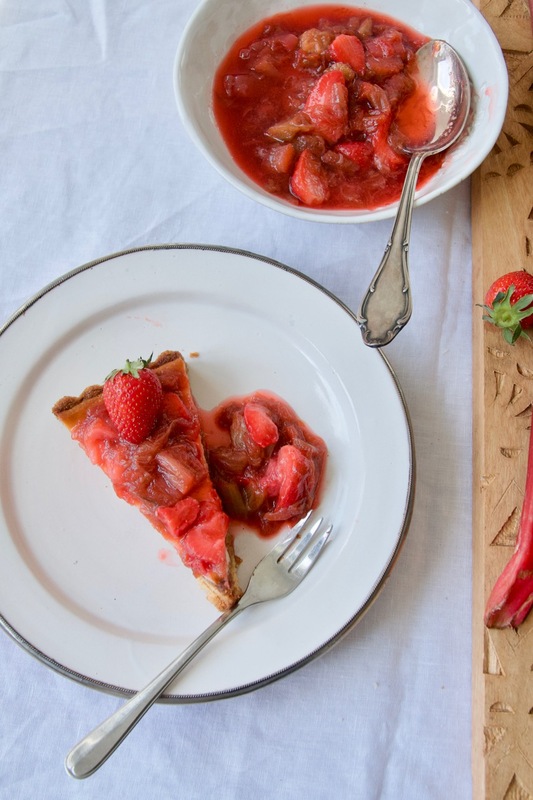 In the meantime, prepare the rhubarb and strawberry compote. 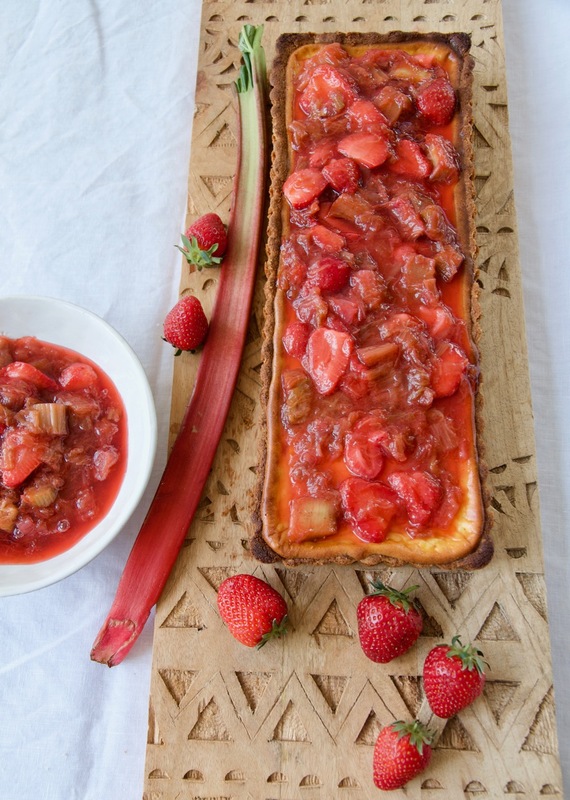 Cut the rhubarb into slices and boil with sugar, vanilla extract, lemon juice and salt until the juice is almost absorbed, remove from heat, add strawberries and rose water and let it cool down. 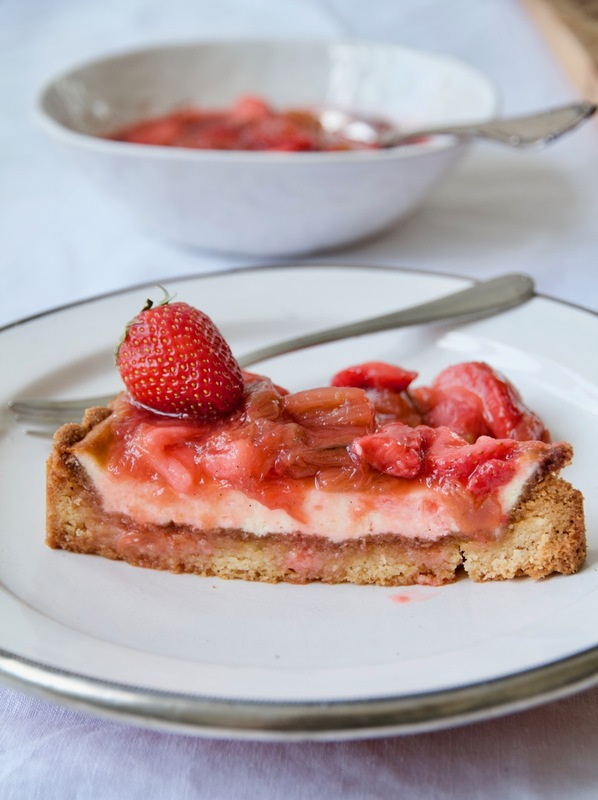 Once the Labneh Cheese Cake has cooled down, add the rhubarb and strawberry compote on top of the Labneh Cheese Cake and refrigerate for 2-3 hours. Remove the Cheese Cake from the fridge 15 minutes before serving or just serve lukewarm as a dessert. Melt butter in a saucepan at medium temperature. In bowl add all ingredients and melted butter, mix well. If the dough is too soggy, add 1 – 2 tablespoons of flour and almond flour. 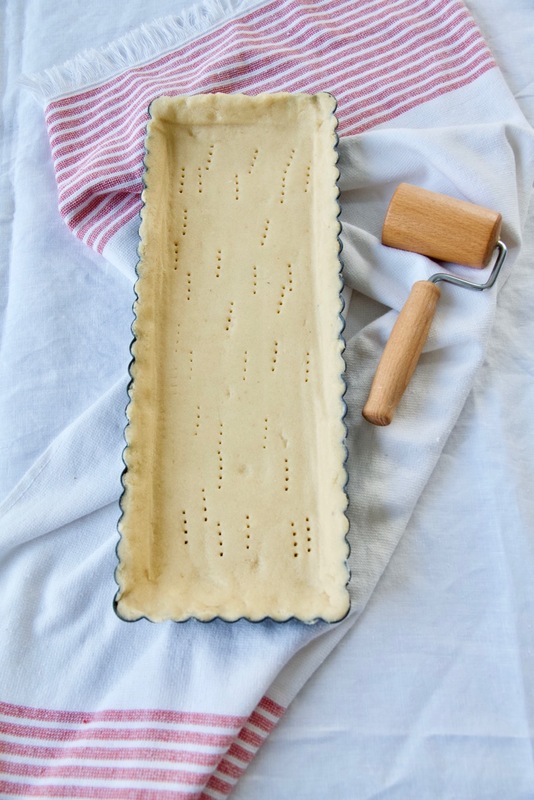 Butter a tart pan, press the dough in the form, roll out well with a rolling pin and prick with a fork to release any air. Bake at 180 ° in a preheated oven for about 20 minutes. Set aside. Mix all the ingredients for the Labneh filling in a blender and add to the baked bottom. Bake at 150° for another 20 minutes. Remove from the oven and allow to cool down. 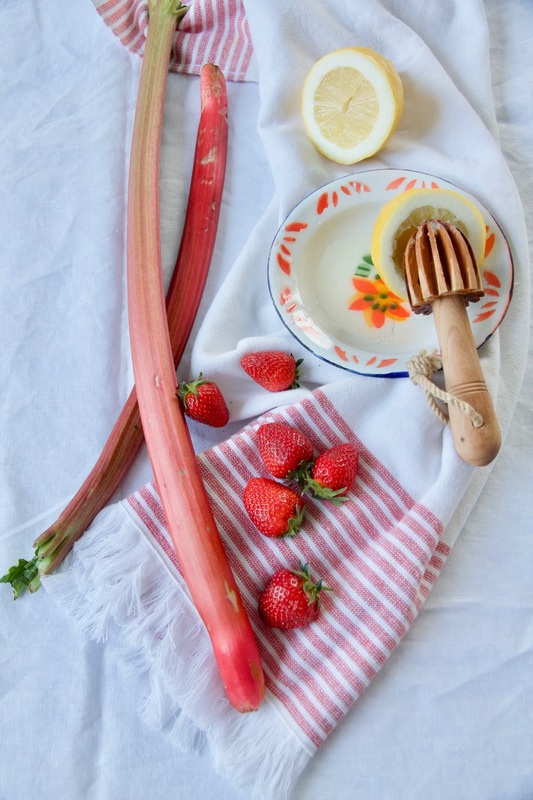 Cut rhubarb into 1-2 cm thick slices, boil with sugar, vanilla extract, salt and lemon juice at medium temperature until the juice is almost absorbed. That takes about 5 – 10 minutes. In the meantime wash strawberries, dry well and slice. 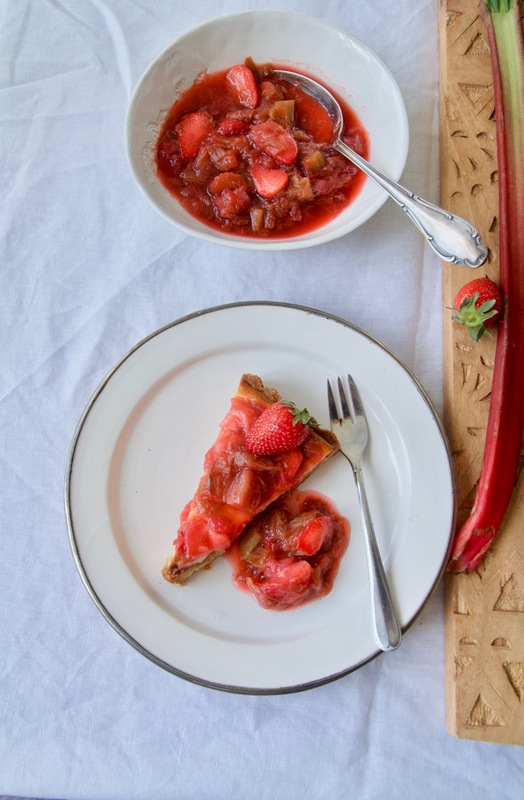 Remove the rhubarb compote from the stove, add strawberry slices and rose water and let it cool down well. 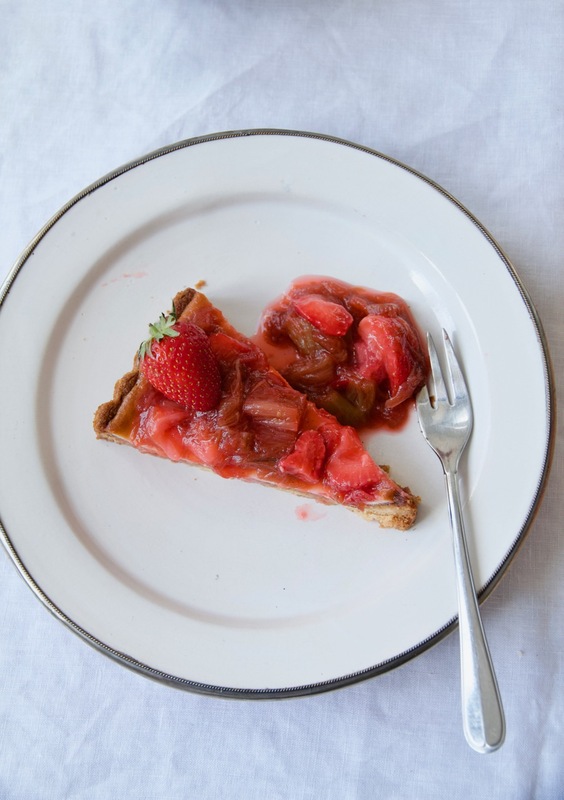 Put the rhubarb and strawberry compote into the fridge. Eat the rhubarb compote either with the cake or spread it on top of the cake as I did. You can serve Labneh Cheesecake lukewarm as a dessert. If served as a cake refrigerate it for 2-3 hours and remove it from the fridge 15 minutes before serving. Melt butter in a saucepan at medium temperature. In bowl add all ingredients and melted butter, mix well. If the dough is too soggy, add 1 – 2 tablespoons of flour and almond flour. 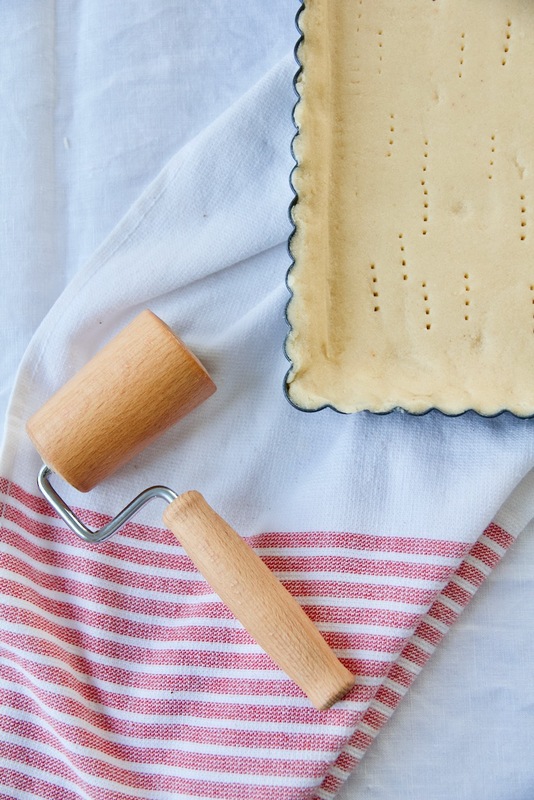 Butter a tart pan, press the dough in the form, roll out well with a rolling pin and prick with a fork to release any air. Bake at 180 ° in a preheated oven for about 20 minutes. Set aside. Mix all the ingredients for the Labneh filling in a blender and add to the baked bottom. Bake at 150° for another 20 minutes. 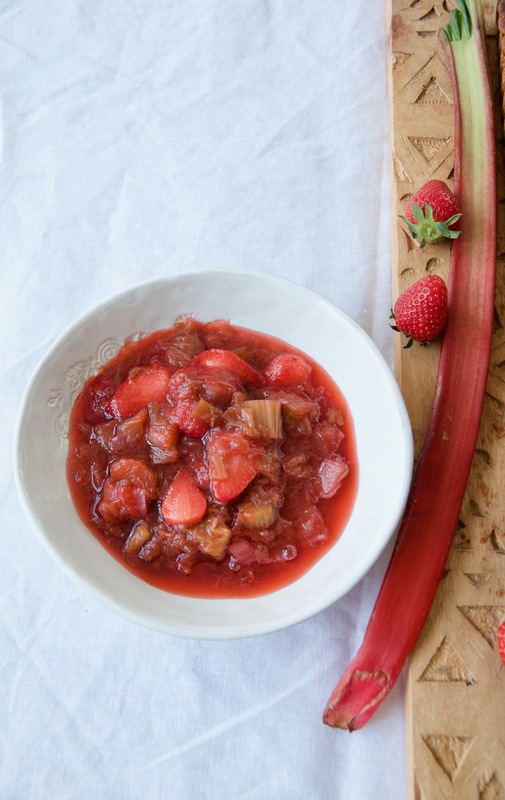 Cut rhubarb into 1-2 cm thick slices, boil with sugar, vanilla extract, salt and lemon juice at medium temperature until the juice is almost absorbed. That takes about 5 – 10 minutes. 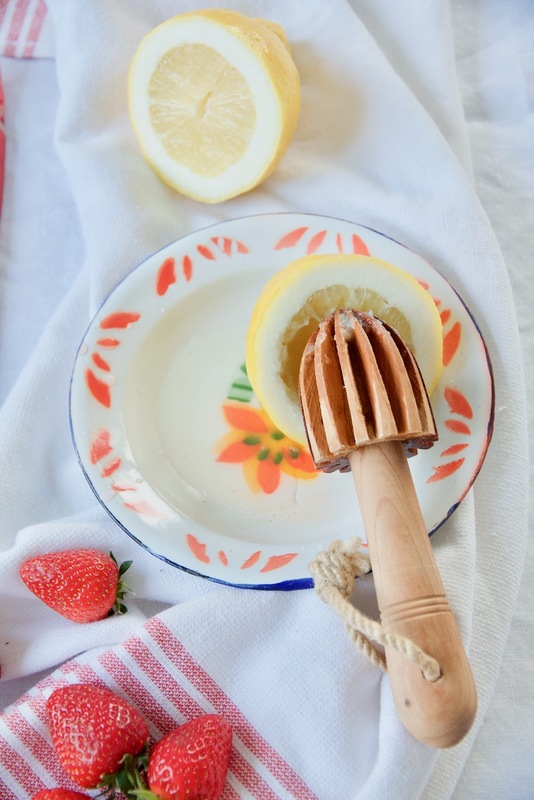 In the meantime wash strawberries, dry well and slice. 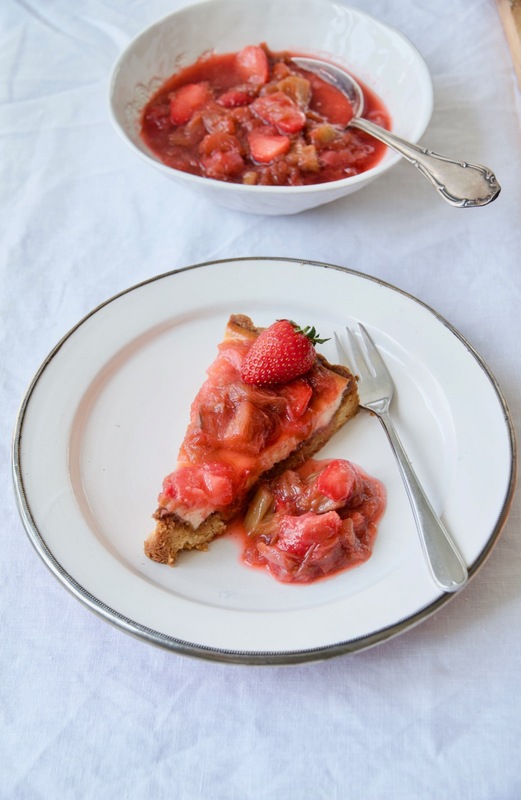 Remove the rhubarb compote from the stove, add strawberry slices and rose water and let it cool down well. Put the rhubarb and strawberry compote into the fridge. Eat the rhubarb compote either with the cake or spread on top of the cake as I did. You can also serve Labneh Cheesecake lukewarm as a dessert. If served as a cake refrigerate it for 2-3 hours and remove it from the fridge 15 minutes before serving.